A far-reaching Department of Justice (DOJ) investigation into a nationwide college admissions cheating and athletic recruitment scandal, dubbed “Operation Varsity Blues,” has opened up a discussion about corruption in college admissions. 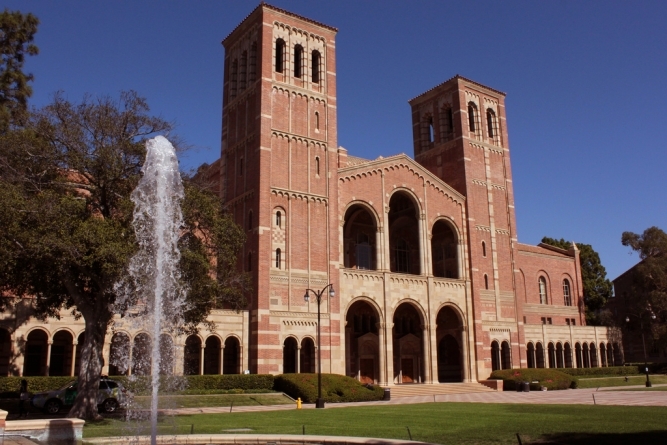 UCLA is among the universities included in the scandal and recently, Assemblyman Kevin McCarty called upon UC officials to open up an investigation into the matter. “Parents paid Singer approximately $25 million to bribe coaches and university administrators to designate their children as purported athletic recruits, thereby facilitating the children’s admission to those universities,” according to a press release from the U.S. Attorney’s Office in Boston, which is handling the investigation. Singer allegedly described the scheme to his customers as a “side door,” in which the parents paid Singer under the guise of charitable donations to [his organization].” Some of Singer’s actions allegedly involved photoshopping pictures of students’ heads onto stock images of athletes participating in different sports. “In turn, Singer funneled those payments to programs controlled by the athletic coaches, who then designated the children as recruited athletes – regardless of their athletic experience and abilities,” the statement said. Singer ensured the daughter of Davina and Bruce Isackson was accepted into UCLA, in return for a hefty sum of money and over 2,000 shares of Facebook’s stock. “Singer agreed with the parents of an applicant to UCLA to use bribes to facilitate their daughter’s admission to UCLA as a purported soccer recruit, even though she did not play competitive soccer,” according to court records. Bruce and Davina Isackson were charged with “conspiracy to commit mail fraud and honest services mail fraud,” according to the Daily Bruin. On Tuesday, March 12, Jorge Salcedo, the head men’s soccer coach at UCLA, was charged with racketeering and conspiracy as part of the scandal. Salcedo was indicted and has been placed on leave from UCLA pending the investigation. The UC Office of the President declined to comment on the matter, referring to UCLA’s aforementioned press release for further information about the scandal. Their daughter, Lauren Isackson, was listed as a member of the soccer team in 2017, but did not appear on the 2018 roster. “According to her LinkedIn profile, she served as the women’s soccer team manager from 2016-2018,” The Daily Bruin reported. It is unclear whether Isackson or one of her siblings is the UCLA applicant that Davina and Bruce Isackson paid to be accepted into the university. The scheme involving Salcedo began in 2016. Around April 6, 2016, the UCLA applicant’s falsified soccer profile was forwarded to Salcedo by Ali Khosroshahin, who was previously employed as the head coach of women’s soccer at USC. The applicant’s transcript and standardized test scores were then forwarded by Salcedo to a UCLA women’s soccer coach. On or around June 28, 2016, the applicant received a provisional student-athlete admission, meaning that she would be permitted to attend UCLA only if she finished her senior year of high school and participated on the university’s team for at least one year. Around July 7, 2016, Singer forwarded $100,000 from his purported charity to a “sports marketing company Salcedo controlled,” in return for Salcedo’s help facilitating the applicant’s acceptance into UCLA. A $250,000 bill was then forwarded by Steven Masera, an employee of Singer’s charity, to Davina Isackson, the mother of Lauren Isackson. Singer stated that the money would be returned to the Isackson family in the event that their child was not accepted into the university. Bruce and Davina Isackson then donated 2,151 shares of Facebook stock to Singer’s fraudulent charitable organization. “Your generosity will allow us to move forward with our plans to provide educational and self-enrichment programs to disadvantaged youth,” Masera wrote in a letter to them around July 21, 2016. Singer allegedly then paid Ali Khosroshahin $25,000 for helping facilitate this transaction. In a March 13 letter, Democratic State Assemblyman Kevin McCarty publicly called upon UC President Janet Napolitano to investigate the matter thoroughly. Coaches at Yale, Georgetown, Stanford, Wake Forest, USC and the University of Texas at Austin have also been charged in Singer’s scheme. Loughlin — best known for her role on Full House — and her husband, fashion designer Mossimo Giannulli, paid $500,000 for their daughters to be recruited onto USC’s crew team, despite the fact that neither actually participated in crew. US Attorney Andrew Lelling identified “two kinds of fraud” Singer sold: the first involved orchestrated cheating on the SAT or ACT and the other was using connections with Division 1 coached to gain admissions into top universities via “fake athletic credentials,” he said in a CNN article. Salcedo will appear in court in Boston on March 25 at 2:30 p.m.